For stability and retention, titanium-alloy Cytco-K posts feature a parallel design, with tapered ends designed to eliminate stress in the apical portion. Each post has self-tapping threads that secure themselves only in the cervical area of the root where the walls are thickest. 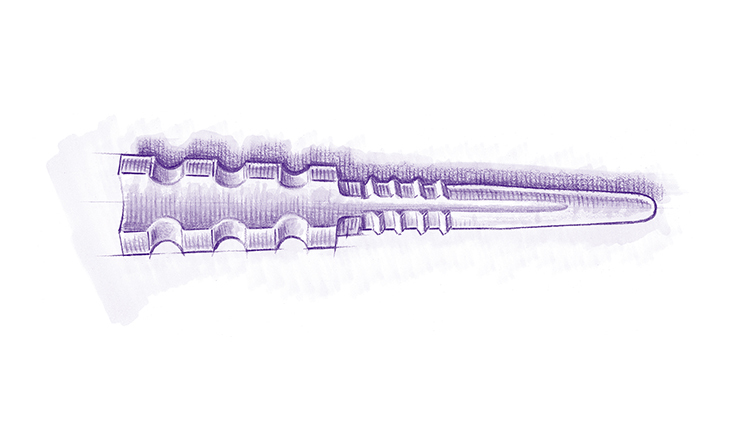 Two vent grooves run the length of the post to allow excess cement and dentinal debris to escape. Posts are available in a range of sizes to fit all your root canal preparations. Radiograph guide included to assist in post size selection. Sterilization and Storage block also available. 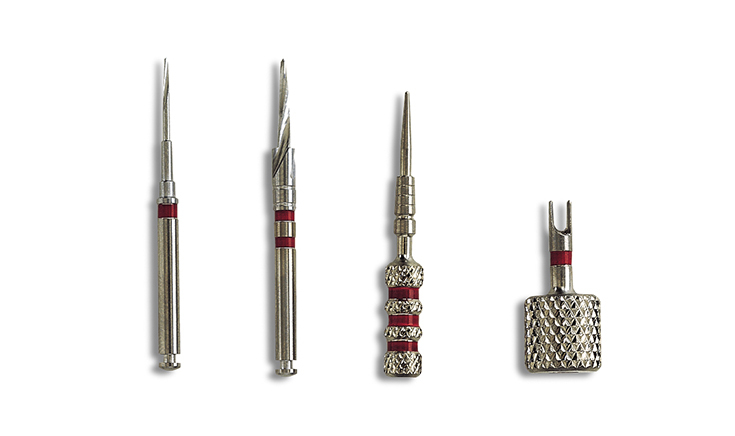 The Cytco-K Integral Kit contains 12 Cytco-K posts and 1 each - penetration drill, combination drill, gauge, wrench and radiograph guide for measuring post length. The Cytco-K post integral kit combines the best of parallel and tapered designs in one complete post system. The Mandrel is available for purchase in the RADIX-ANCHOR Post System category under SKU #671670.